What kind of Church will we make? For many, reading the Lineamenta, the preparatory questionnaire for the 2015 Ordinary Synod released on December 9, 2014, was a difficult, depressing experience. The wording of the forty-six preparatory questions, “aimed at knowing how the document is received and to generate an in-depth examination of the work initiated during the Extraordinary Assembly” seemed to be another effort to batton down the hatches to ward off reform and a doubling of efforts to tone down October’s surprisingly compassionate and welcoming mid-term report (Relatio post disceptiontatem). Many felt the pain of seeing this tiny, newly-born reform pushed back again, possibly strangled, before it had a chance to live. Yves Congar, one of the Second Vatican Council’s most influential theologians, wrote of his own depression and frustration as he entered into the battle for the soul of the Church in those pre-conciliar and conciliar times. The roller coaster of emotions was apparent as Congar engaged the two opposing forces within the Church. He knew the hope intimately and he despised the efforts by men in the Curia to crush all things new. He pulled no punches when it came to labeling the forces. He labeled his foes integrisme, a group he described as authoritarian and old guard, exemplified in the character of Cardinal Alfredo Ottaviani. And he personally identified with the other; those open to the spirit of aggiornamento and personified in John XXIII. Under Francis, the 2015 Family Synod is another battleground of sorts for the soul of the Church. Though a much smaller subset of issues is being addressed, just as in the 1960s, there are two very different visions of Church, two very different groups championing those visions and two very different kinds of Church to be made. While Francis is urging the Church to open our collective arms to those who have suffered marginalization, those opposed want nothing to do with it. Softening is weakness and they fear any sign of weakness. In the case of sacraments for those divorced and remarried, Cardinal Raymond Burke wanted the conversation taken off the synod table, Archbishop Charles Chaput recoiled at the “confusion” that was erupting, and Cardinal George Pell announced that he sided with Jesus on the matter. Still in December, Pope Francis spoke with greater clarity than ever before calling for an end of the “de-facto excommunication” of Catholics who are divorced and remarried or in civil unions. Unsatisfied with a simple focus on Communion, he led the charge for full integration; a way to call these exiled Catholic back to active life including being godparents, serving as lectors, Eucharistic ministers and catechists. Many of the synod leaders and delegates have been confirmed although some bishops’ conferences are still in the process of electing their delegates. In the ecclesial chess game the U.S. bishops bolstered their conservative contingent by electing some of their most vocal culture warriors while Pope Francis’ choice for Chicago, Archbishop Blaise Cupich, fell to the alternate position. The bishops also chose to leave the Pope’s trusted colleague and reformer, Cardinal Sean O’Malley, off the slate. As these U.S. delegates sit in the synod hall in October, moderates like Archbishop Joseph Kurtz will likely favor Francis reforms. In October he described the midterm relatio as “a wonderful working document.” But conservatives such as Philadelphia’s Archbishop Charles Chaput will hold the line on any forward movement. Cardinal Sean O’Malley, Cardinal Donald Wuerl and Cardinal Timothy Dolan will present a mixed bag when it comes to the issues with O’Malley being most amenable to pastoral changes, but to find the point persons and allies for pastoral reform, we will need to look beyond U.S. borders toward Europe, Asia and South America although there will be surprises even from regions known for their traditional culture. Here are some of the more reform-minded prelates to watch as we head to Rome in October. Cardinal Walter Kasper is Pope Francis’ point person for reforming pastoral practices for divorced and remarried Catholics. A counter to some of the conservative coalitions that have formed, he and Cardinal Francesco Coccopalmerio are the most senior members of a newly formed group called the “Cenacle (Upper Room) of Friends of Francis” who exist to publicly build support for the reform efforts of Pope Francis. Cardinal Vincent Nichols clearly wants a church of mercy and stated the reason paragraph # 55 in the Relatio Synodi failed is because it didn’t go far enough. Cardinal John Dew seeks reform saying, “the church would be enriched if dedicated Catholics excluded from the Eucharist because of church rules could return to the Lord’s table. In October, Cardinal Luis Tagle stated, “The question of remarried divorcees remains open.” He will call for a deeper look at the economic forces that strain marriages and the impact of forced immigration. Fear characterized some of the responses from synod participants according to Cardinal Christoph Schonborn who suggested applying the principle of “gradualism” to the question of marriage which recognizes the good in irregular relationships like cohabitation. Archbishop Charles G. Palmer-Buckle, ahead of his African counterparts, supports allowing local bishops to make decisions regarding divorced and re-married Catholics on a case-by-case basis. Pope Francis is leading the charge to open the doors of the Church to those who have been marginalized, to those who have left because they are judged to be sinners and failed Catholics. He has allies. He has support. Even the disappointing final Relatio Synodiwith its failed paragraphs, are a sign of that support. As Congar might have seen it, those who are fearful would like to squeeze the breath from this small movement toward reform being led by Pope Francis before it evan has a chance to live. But a solid portion of the language of the mid-term document is still intact in the final relatio, and the hope for a Church of mercy and welcoming is still alive. As we move toward the synod, all the baptized are urged to enter the conversation and make their views known to synod leaders. Take Action! Make your voice heard! Yves Congar knew that God’s faithful can make a difference. Please do your part to make sure the 2015 Family Synod is representative of all Catholic voices. 1. 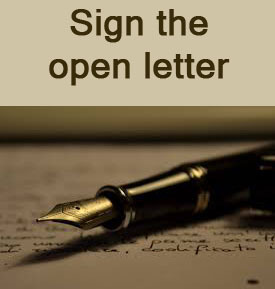 Sign the Open Letter asking synod leaders to “widen the circle” of invitees! Along with the heads of curial offices, Pope Francis will make additional appointments. And although the process for choosing auditors and experts is opaque, FutureChurch learned that Catholics can make suggestions to synod leaders. In order to include Catholics who know the iss ues from experience, FutureChurch and other reform organizations around the world are petitioning synod leaders to “widen the circle”of invitees while creating a list of auditors and experts to be sent to synod leaders for consideration. During a recent FutureChurch Teleconference, Fr. Thomas Rosica, English language assistant to the Holy See Press Office and Salt and Light producer, Sebastian Gomes confirmed that many bishops inside the synod wanted to see a more representational group of auditors and experts invited to the 2015 synod. Join this action and help the bishops learn from the experience of the faithful today. 2. Have a listening session in your parish or community and let your voices be heard in Rome and at home! Gather to talk about the synod issues in your parish or community and send your results to us to be added to a final report for the synod leaders! 3. Talk to your bishop! Ask him to make sure there are processes in place for dialogue. Talk to him about the synod issues. Ask him to commit to hearing his people and taking that to Rome. This synod is in the hands of male celibates. But it is also in the hands of faithful Catholics everywhere. Don’t miss this opportunity to make your perspective known to synod leaders. Take action today! Let your voice be heard! Convene a listening session! As we approach the 2015 Family Synod, Catholics want to engage in a meaningful way. They want a voice on the important issues that will be discussed. Cardinal Lorenzo Baldiserri, secretary general of the Synod of Bishops has made it clear that the bishops of the world should be listening to Catholics at the grassroots level. Synod delegates and leaders will be helped in their task to fashion new pastoral practices by Catholics who know the realities of the issues being discussed “from the inside,” from experience. Thus, we offer these listening session tools as a way for you to discuss together the realities of family, marriage and human sexuality, as well as the Church’s pastoral practices. Your responses will be gathered in a report and sent to our bishops and to Cardinal Baldiserri before the deadline on April 15, 2015 (see full timeline below). The final report will also be useful as we gather delegations to meet with bishops and synod delegates prior to the 2015 Family Synod in Rome in October 2015. In those meetings, we can share the voices of the many Catholics who dialogued together about the issues that will be discussed at the synod. Please find on this page tools you can download and use to have a listening session in your parish or community.